Whether you live in a studio apartment, or a 3-bedroom home, one thing that you are probably always longing for is more space. No matter how you arrange your rooms, it always feels like there isn’t enough space for you and all of your belongings. This is a much more common problem than you may think, and it seems like everyone suffers from it. So, the question is, what can you do about it? There are several steps that you can take to offer yourself some more room. What you need to decide first is how significant these changes need to be. Does it require drastic measures in order for you to live comfortably? What do you have to work with? It’s important to make a plan before going forward with any sort of change or renovation. The easiest step to giving yourself some more space? Get rid of some of your extra stuff. Whether this is clothes, Knick knacks, or decorations, you likely have more than you need. 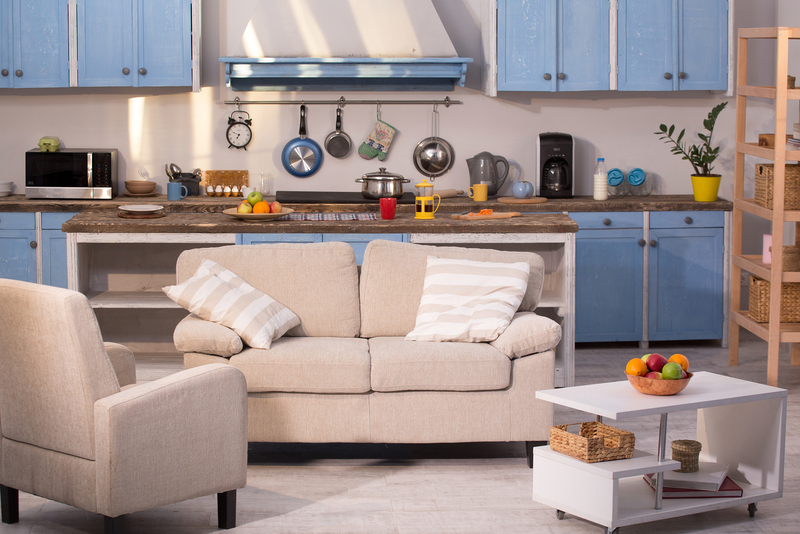 Getting rid of just a small percentage of what you have now can significantly boost your extra space in your home. Extra storage under the bed isn’t just for college dormitories. Using the extra space under your bed, you can free up a lot of room in your home. There are beds, even large-sized ones, built specifically for this purpose. Even if you don’t want or need a new bed, a standard bed possesses significant storage space underneath it. One of the best ways to make your home feel roomier and less cluttered is to clean up and optimize your closet. Getting rid of old clothes, using storage boxes, and integrating specialized hangars can all help optimize your closet. The goal is to provide more space, so you feel less cluttered and crowded. Once you are settled into our home, you end up using up all of the ground storage areas pretty quickly. This makes sense; they are the easiest and most convenient to reach. However, if you want to free up your home, you can start by using vertical cabinets and other systems for storage. Freeing up the floor-level will go a significant way to adding some space to your home. It seems that everyone wants more space in their home. Often, the best way to resolve this is to optimize and more creatively utilize the space that they have, in order to giver a sense of extra space.